The existing house is a Victorian semi-detached dwelling comprising a traditional layout of two floors of bedrooms over a ground floor living room, dining room and small kitchen, arranged in a line front to back, and a single front basement chamber. 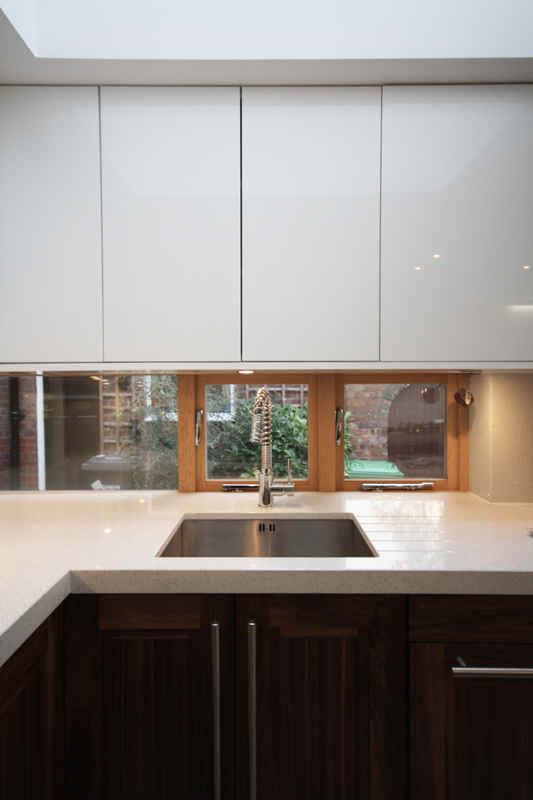 A simple brief was generated that required an extension to the existing ground floor kitchen/dining and living areas and a refurbishment of the basement to provide additional living accommodation and more storage. 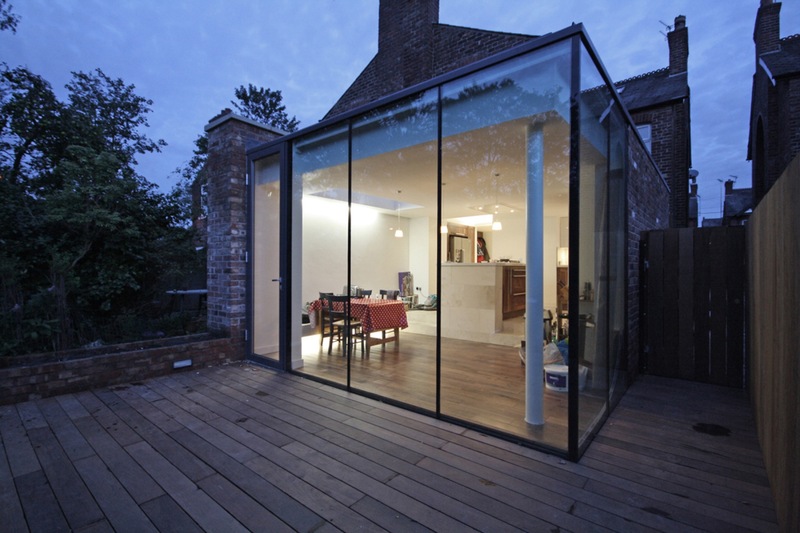 The intention was to mesh the new with the old, not to stick a new lean-to to the existing. Internally there is little evidence of where the existing house stops and the new build starts. This is intentional to allow the spaces to merge, reducing the cellular feeling of the existing house as it is traversed, front to back. 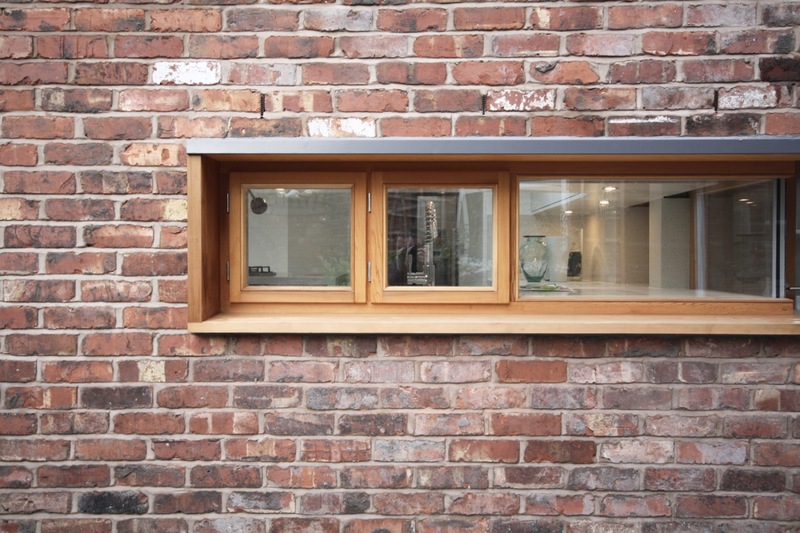 The new building work is completed in a common brick to the sides to match the existing building and full height structurally adhered glazed units fixed back to a cantilevering steel frame to the rear. 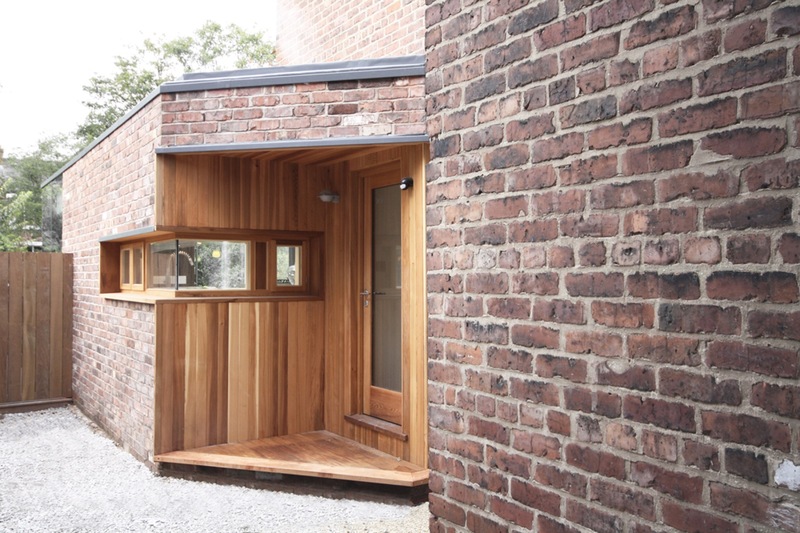 The glazed units wrap around the corner of the rear and side elevation to give a lightness to the rear of the building and a further feeling that the building dissolves into the garden.